Implement records management strategies from the ground up. 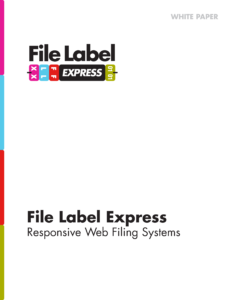 File Label Express is a cutting edge HTML 5 web application that leverages advancing browser functionality to deliver high quality data driven labels and records management functions. File Label Express is designed to service the filing requirements of enterprises large and small and requires absolutely no installation of software.